A false criminal accusation can have serious consequences. If every step leading up to the trial isn’t handled properly, there can be a negative impact on every area of the individual’s life, as well as future employment and educational opportunities. It is important for the accused person to know exactly what to do. His or her actions immediately following the charge can make the difference between conviction and acquittal. Hire a criminal defense attorney: This is the first and most important thing to do. Hiring a lawyer early in the investigation can increase the chances of proving your innocence. Your lawyer may also be able to determine if the charges were properly filed, negotiate with the prosecutor and help you understand your legal rights. Do not discuss your case with anyone: When you have been falsely accused of a crime, do not try to prove your innocence to anyone. Remaining silent will do more good than harm. Discuss your side of the story and other details of the incident only with your lawyer. Gather evidence and witnesses: Before the search warrant is issued, gather as much evidence as possible and bring it to your lawyer. If someone witnessed the situation or knows of your innocence, ask that individual to share their story with your lawyer. Stay away from the accuser: Do not try to have any type of conversation with your accuser as it can complicate the matter further. The prosecutor could potentially blame you for intimidating the accuser. Allow your lawyer to handle the matter. 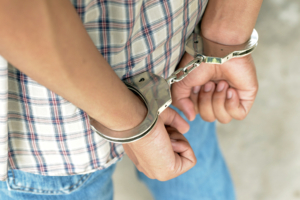 If you have been falsely accused of a crime, our experienced criminal defense attorneys can help you protect your rights and assess your options. We will provide an aggressive defense and keep you informed regarding your case. Call 800-889-3129 or email joel@joelsilbermanlaw.com.